When we think of Singapore, we see a bustling modern city, densely packed with office towers, shopping malls, and condominiums. Exercising usually mean a morning jog around the neighborhood, or a pilates class after work. Weekends are synonymous with shopping, movies, and eating. But there’s only so many plates of Char Kway Teow you can devour before making the sweeping declaration: diet starts tomorrow! 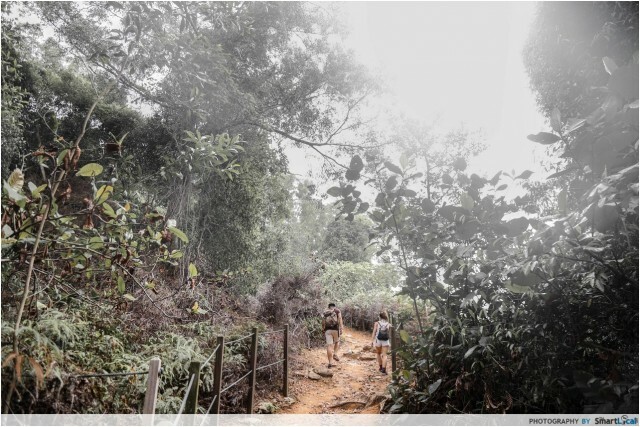 Rarely do people consider hiking as a leisure activity in Singapore, especially when our hot and humid weather is pure madness. Besides, our knowledge of nature walks is really limited. Ask around and a certain treetop walk will probably come up 10 times. 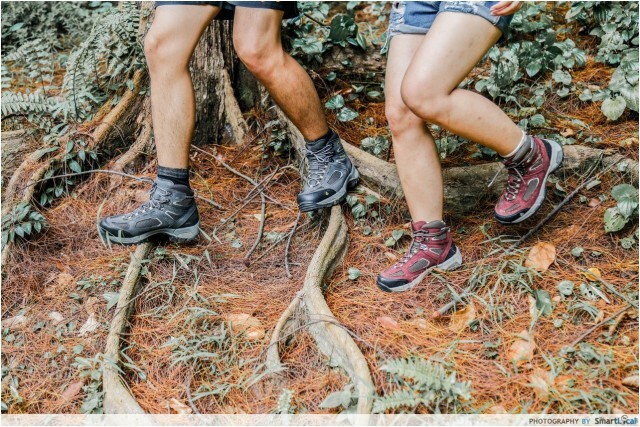 To shed light on our very own hiking trails on the island, we got down and dirty for you to give your exercise routine an ‘upgrade’. 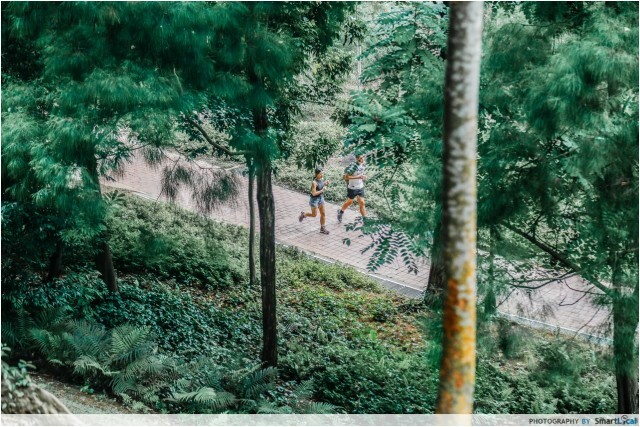 Say goodbye to running on treadmills and hello to adventures within our natural landscape! 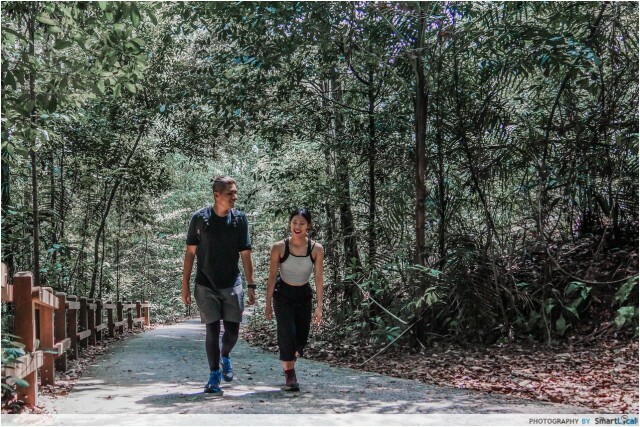 Southern Ridges is my personal favorite, covering 10 kilometres of green, open spaces that connects Mount Faber Park, Telok Blangah Hill Park, Hort Park, Kent Ridge Park and Labrador Nature Reserve. Why visit 1 park when you can go to 5? You can potentially plan an entire excursion along this trail! The scenery and terrain constantly changes during the climb. One moment you’re surrounded by lush greenery, the next thing you know, it’s a beautiful view of our landscape from Mount Faber, and Henderson Waves’ iconic architecture. Make this a rest stop where you can stop by for the customary shot! Another plus point is that there’re many exits throughout the trail, so you can call it a day whenever you wish! 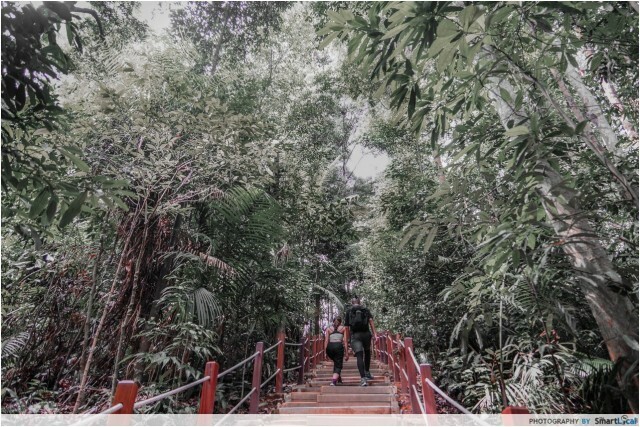 Start at Marang Trail (on Marang Road, further down from Seah Im Market), proceed through Faber walk past the iconic Henderson Waves, before continuing on to Sembcorp Forest of Giants, Alkaff Mansion, Forest Walk, and The Singing Forest. End your walk at Alexander Arch. At this point, you would have walked about 11 km. 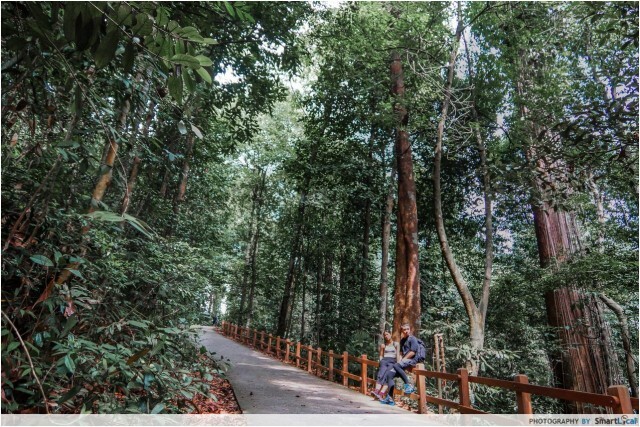 If you still feel fresh, you can venture further to HortPark and Canopy Walk. 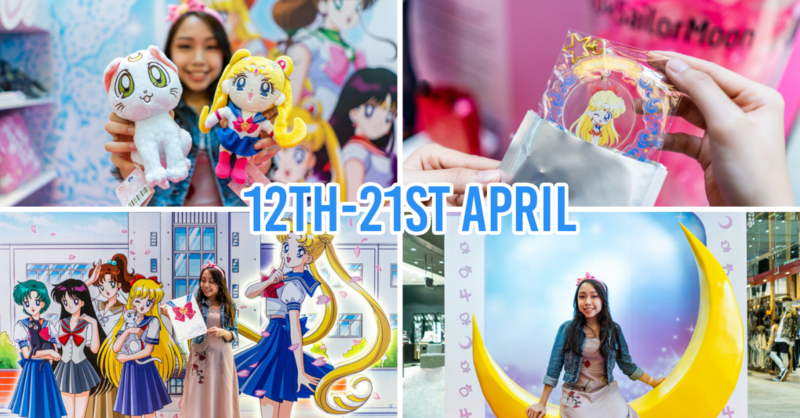 By train: Take the Circle Line or North East Line to HarbourFront MRT Station (NE1/CC29). Marang Road is beside exit D of Harbourfront MRT. 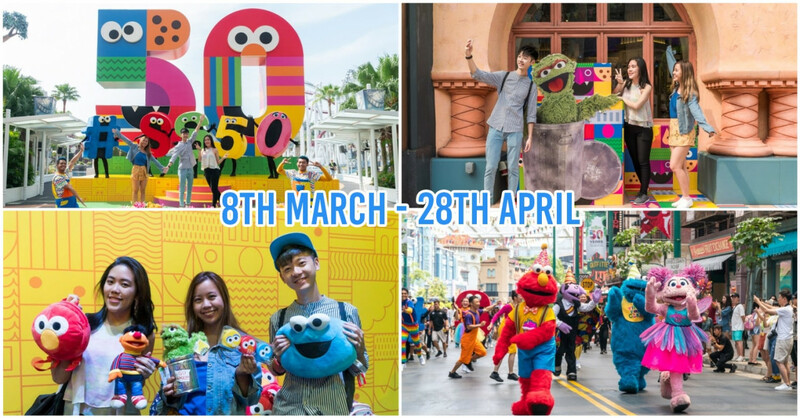 By bus: Take bus service numbers 10, 30, 57, 61, 65, 80, 93, 97, 100, 131, 143, 145, 166, 300, 408* and 855 to HarbourFront MRT Station. 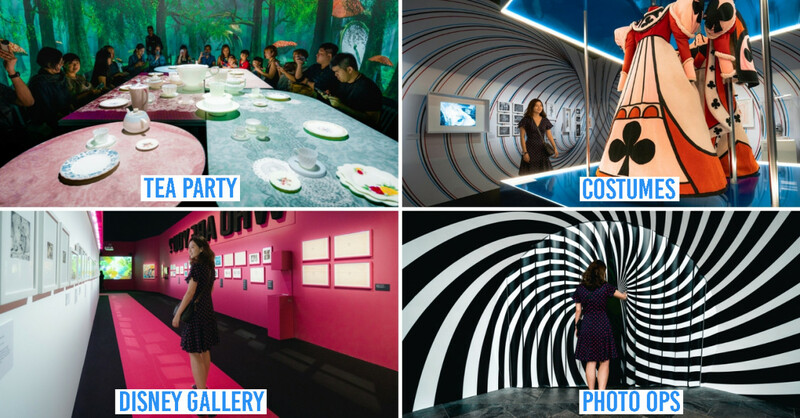 Of course, Singapore’s iconic Fort Canning has to be on this list! This small hill, only slightly higher than 60 metres, is a nature sanctuary right smacked in the middle of the city. 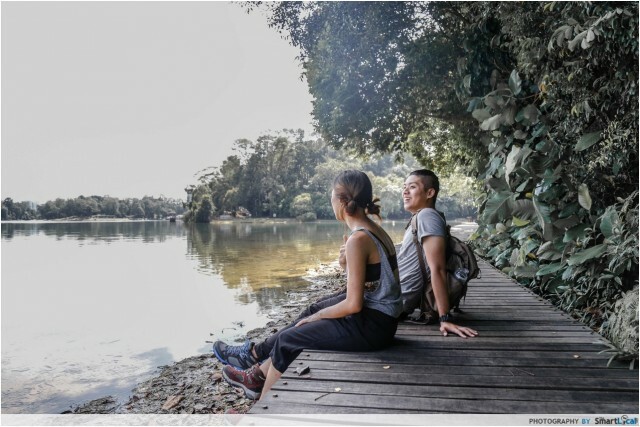 It has witnessed many of Singapore’s historical milestones, and is the only hike that will offer you a recreational and historical experience at the same time. 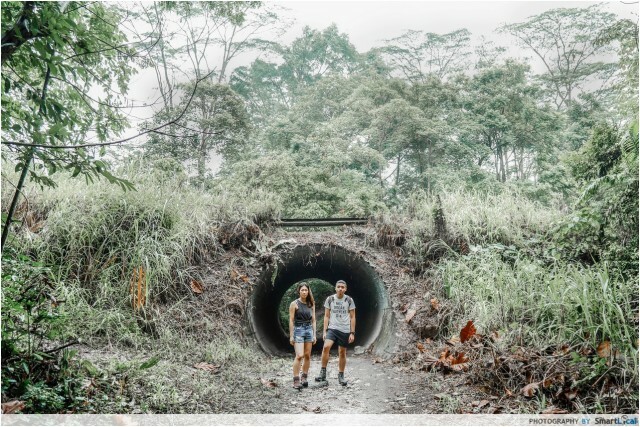 With sights like the site of Sir Stamford Raffles' first bungalow and tree species native to Singapore lining the trail, it certainly wouldn’t be monotonous. 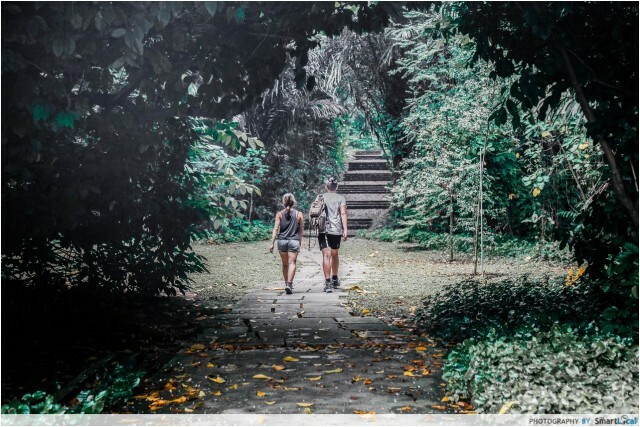 There are more than 4 trails in Fort Canning Park, but I’d recommend throwing that out of the window and do it our way. 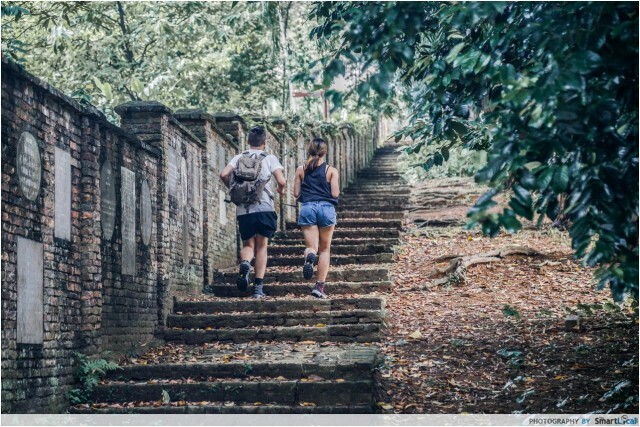 Start at any entrance to Fort Canning that is convenient for you, and explore the area as you wish. All the trails in this historic park are connected to each other at some point. Take note of the turns you take so that you can explore different routes in future. 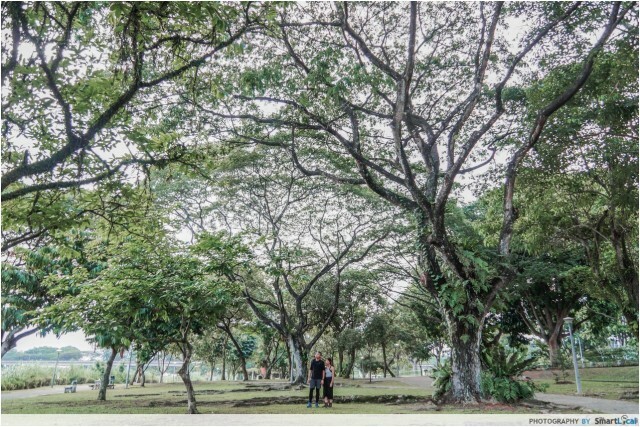 By car: There are a few carparks around Fort Canning park. 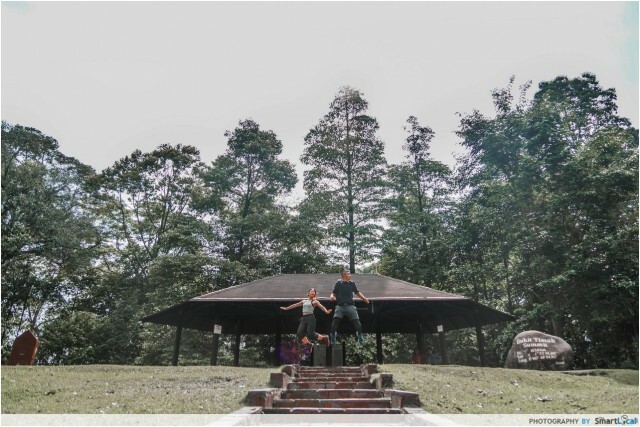 A famous venue for cross-country races and nature trails, Macritchie Reservoir deserves a spot on this list. There are three kinds of terrains you will come across here - rocky/muddy, duckboards (wooden planks over muddy ground) and concrete. As you walk into the area, an average-looking park will come into sight. But don’t turn your back just yet - keep going! As you approach the trails, you will step into a forest heaven you would never expect to find at a reservoir. I felt as though I was deep in the woods, and strolling on the boardwalk next to calm waters was exhilarating. I’d be jealous if you live nearby. 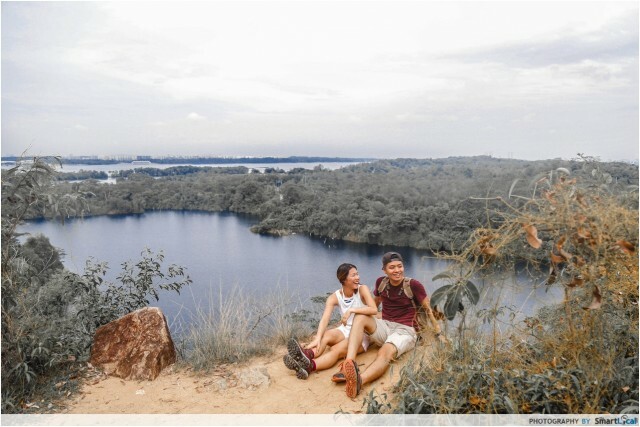 For a panoramic view of the reservoir, take either Chemperai trail (4.8 km) or Petai Trail (3km). 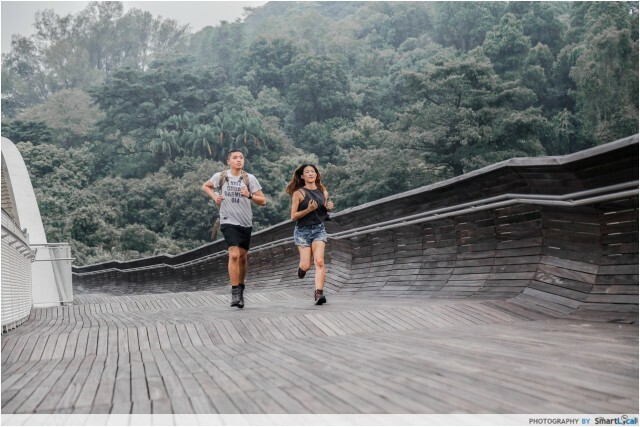 If you’re itching for a challenge, try the 10 km loop that takes you all around the reservoir. So as to not get lost, remember to follow the signs that say Jelutong Tower and MacRitchie Reservoir Park. On the map, this is the route marked in yellow. By car: Park at the carpark along Lornie Road. 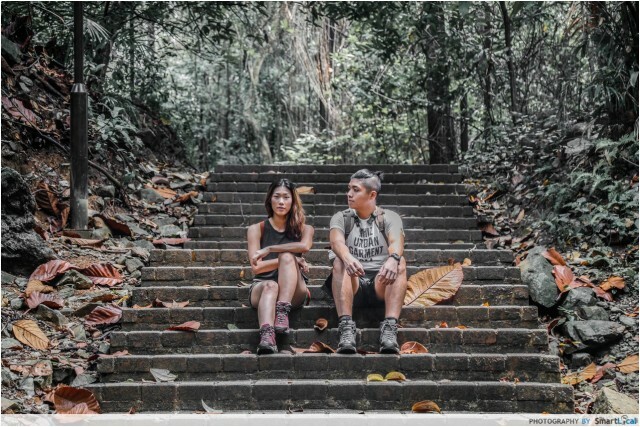 The closest you can get to a proper mountain hike in Singapore is here. Although the walk can get quite tough with its steep slopes and uneven terrains, the 250m bridge makes it totally worth the walk. 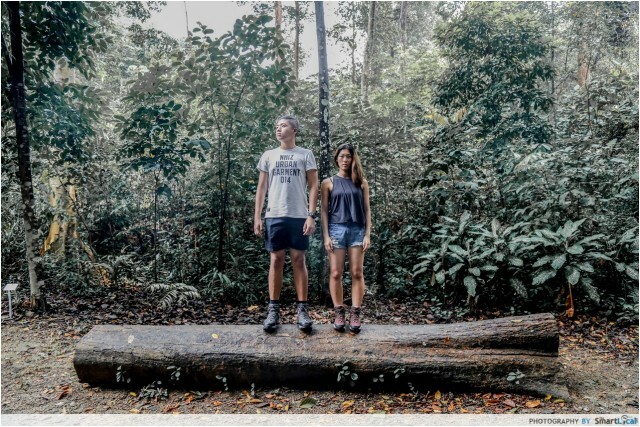 Where else can you get a bird’s eye view amidst a forest’s canopy in Singapore? If you’re lucky, you may even see wildlife in their natural habitat. Monkey sightings are commonplace here. The wooden steps seemed poorly maintained and there will be monkeys’ poop all over the area. Watch where you walk! This will be a 6 km round trip that takes you across the 250m bridge. 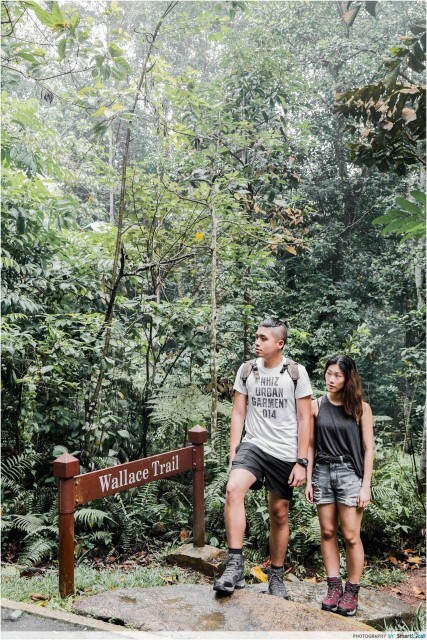 Start at the entrance beside Venus Drive and follow directions towards Treetop walk on the Petaling trail. On the map of MacRitchie, it is the route marked in orange. By car: Park at the public car park along Venus Drive that is located beside the start of the trail. By bus: Buses 52, 132, 163, 166, 167, 855 and 980. Alight just outside ESSO station before the junction of Venus Drive, Upper Thomson Road and Sin Ming Avenue. 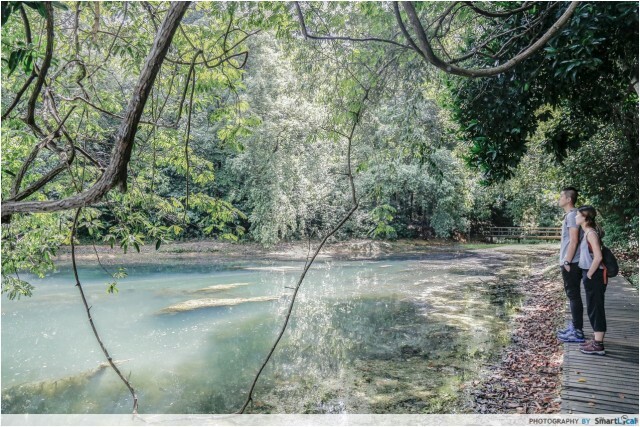 Bukit Timah Nature Reserve is a favourite amongst Singaporean hikers. 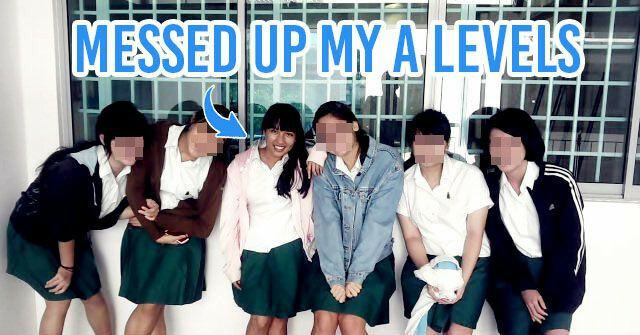 This is probably due to its status as the tallest natural hill in Singapore (163.8m) and the steep slopes. If you’re up for a challenge, this is the place to go. Unlike other locations that pace you bit by bit, the trail here only inclines and a 0.2 km flight of uneven steps awaits you at the end. Our thighs definitely felt it the next morning. 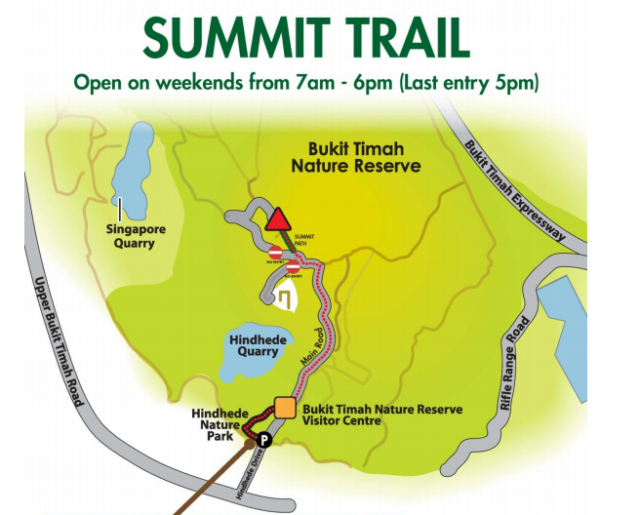 Also note that the Bukit Timah Nature Reserve and Dairy Farm Nature Park are 2 different places! People often confuse between the 2. Due to ongoing restoration works, only the summit trail is open at the moment. At the carpark at Hindhede road, you’ll find an entrance to the hill. Enter and follow signs towards Summit trail. It is a 1.4 km hike up that takes approximately 40 minutes. By car: Park at the carpark along Hindhede Drive at the Visitor Center. *Note that the public is encouraged to take public transport because of limited carpark spaces due to ongoing restoration works. By bus: Bus numbers 67, 75, 170, 171, 173, 184, 852, 961. 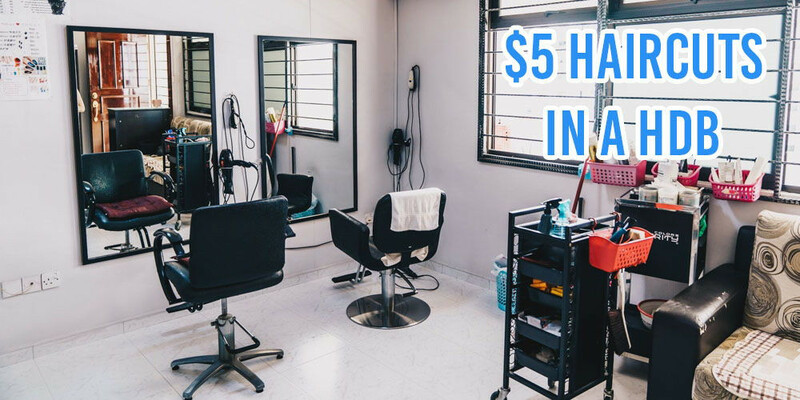 Take bus to Upper Bukit Timah Road, alight opposite the Bukit Timah Shopping Center and Beauty World Center. From there it's approx. ten minutes walk along Hindhede Drive to the Visitor Center. 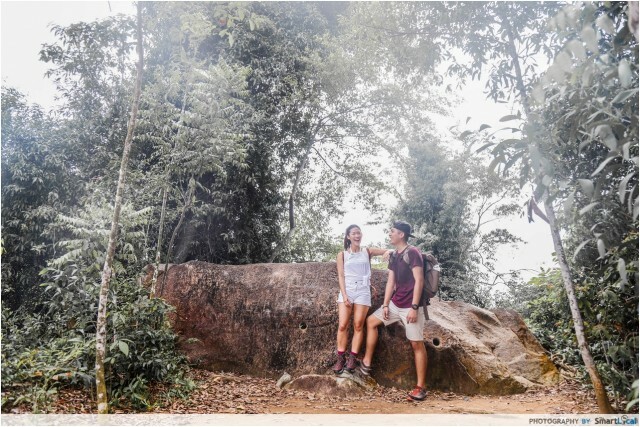 For a legit jungle trekking experience, Dairy Farm Nature Park is perfect. The park itself feels very secluded and is a great place to get away from the city’s modern annoyances. No trip to Dairy Farm is complete without visiting the Wallace Trail, which certainly made me feel like an experienced hiker with its muddy and inconsistent paths, and my unusual ability to stay upright! Do note that this tunnel above is actually a moutain biking trail. As it's a blind spot for most cyclists, it can be very dangerous for hikers to venture there, so do be careful! Start at carpark B and make your way to the Wallace Trail. Start your hike there, past Wallace Education Centre and head back towards car park B. Then, continue all the way to Singapore Quarry. If you’re driving, you’ll have to walk back to car park B to get your car. If you’re taking public transport, you can exit at the Jalan Asas entrance to get to the bus stop at Rail Mall. 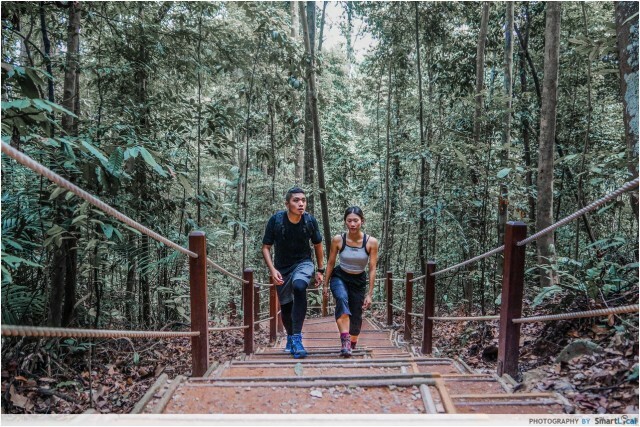 The steps around Bukit Batok Nature Park make it a refreshing exercise that’ll really work those legs. 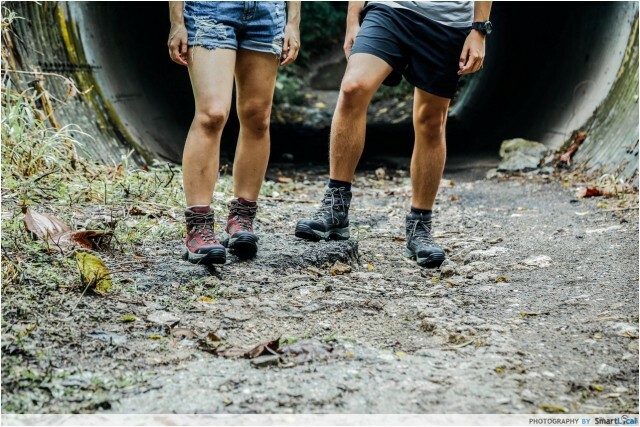 If you’re an active hiker looking for a rigorous workout, the terrain here is safe and non-slippery, so don’t be afraid to quicken your pace. Our time here was so exciting - it was the only place where we encountered wild animals like monitor lizards and white-crested laughingthrushes - only the most adorable birds alive! They usually hide amongst the trees so you have to look out for them. Take the chance to stand close as they aren’t shy. There is no one trail here. Wherever you enter, follow the stairs and keep climbing and walking around the area. You could track your distance with Map My Walk, available on both Iphones and Androids. By car: You can park at the car park along Bukit Batok East Ave 2. By Bus: Buses 61, 66, 157, 178, 852 and 985 will take you to Bukit Batok East Ave 6. 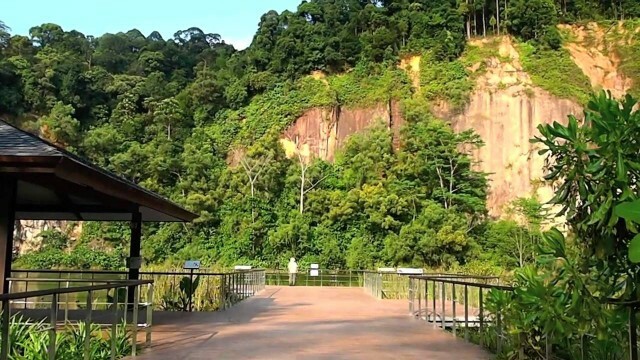 The park is also accessible via the entrance at Lorong Sesuai and from Hillview Park Connector. 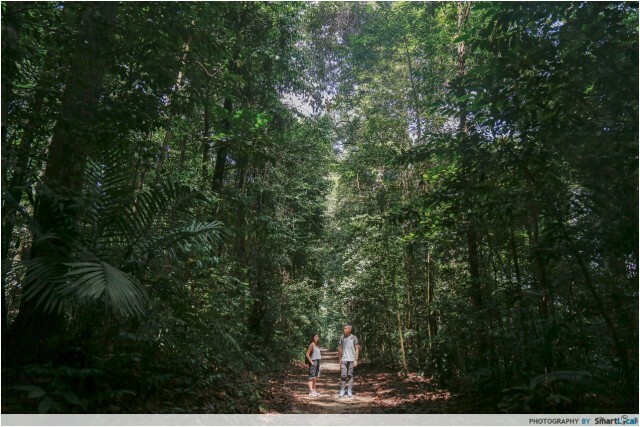 Every time Pulau Ubin is mentioned, we only hear of Chek Jawa. We decided to go off the beaten track to seek other trails with potential, and look what we were rewarded with! From the public jetty, we headed left towards the island’s highest peak on Puaka Hill. Only recently was this trail opened to the public and made safer for climbers. The climb is challenging with its steep and rocky terrain, but it is only a 74 metres hike. 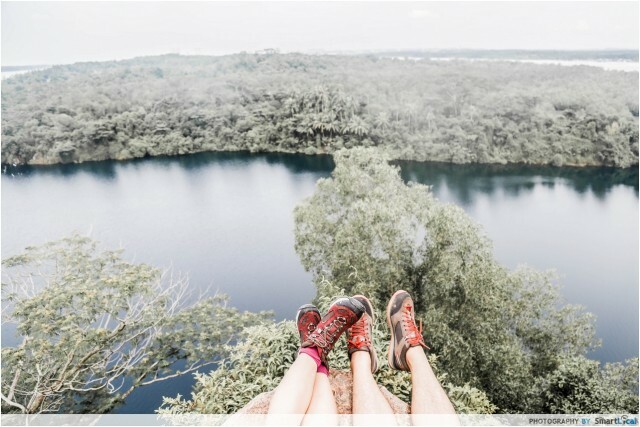 Nevertheless, the breathtaking view at the peak makes the 15 minutes climb worth it, with the Granite Quarry and the borders of Malaysia in sight. Away from the city, I found myself breathing with more ease. 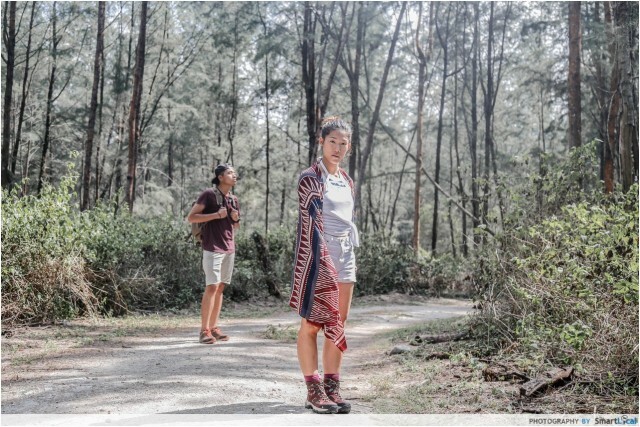 Ease your pace and take the time to inhale the fresh air, and soak up the kampung ambience you’ll never get on mainland. Look out for wildlife visitors too. If you’re lucky, you might just spot a mousedeer. On the island, follow directions towards Puaka Hill on Jalan Jelutong. Keep going for 2.1 km and when you see a hut with bicycle stands on the right, the entrance to the bottom of Puaka Hill is just in front. Hike all the way to the peak. 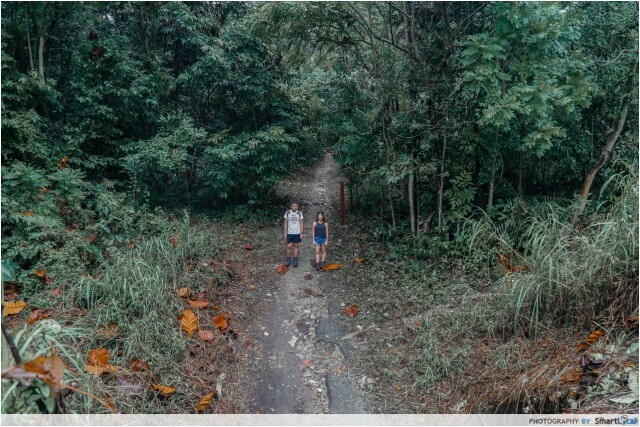 Pulau Ubin can only be reached via bumboat from the Changi Point Ferry Terminal, located approximately 100 meters from the Changi Village Bus Terminal. The terminal is served by bus numbers 2, 29, 59 or 109. *Bumboats don't operate according to a fixed schedule - they depart whenever there's a full boatload of 12 passengers. The single trip is S$3 per person, bicycles cost extra. 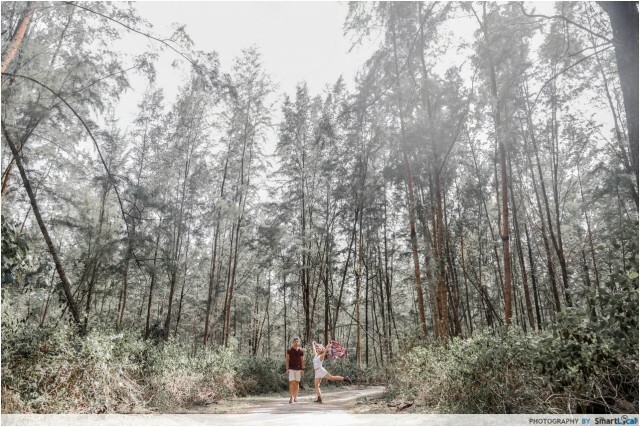 We were amazed by the rustic environment and how untouched everything is - timber from uprooted Casuarina trees were collected and recycled into park signage, seats, benches, boardwalk, and exhibits at Casuarina Exploration. Here’s a heads-up: hiking here isn’t for everyone. There’re plenty of sand flies here, no water points, and only one toilet on the whole island. We recommend bringing lots of water and renting a bike to help you along. The pathways have gravel and dirt terrain, the outer path mostly smooth and the inner quite rocky, alike mountain biking trails. 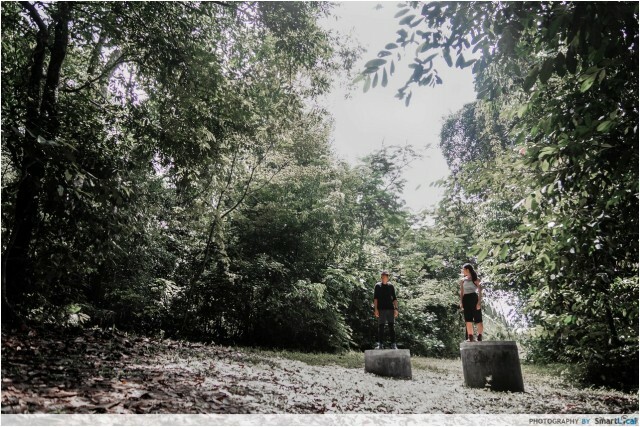 But if you’re prepared to rough it out, you’ll be heavily rewarded to interesting sights like its secret beaches, an abandoned villa by the Haw Par brothers, and a newly-built boardwalk surrounded by an abundance of greenery. No first-timer should go to Coney Island without reading this complete Coney Island guide. From the West Entrance, take the inner pathway (left) towards beach A and B. Exit at beach B to the main pathway and walk towards beach C, where Casuarina Exploration is. Enter back into the inner path. From there, head towards the East Entrance and turn back. By car: Park at the carparks near Punggol Settlement. Walk about 500m east along the Punggol Promenade Nature Walk to get to Coney Island West Entrance. 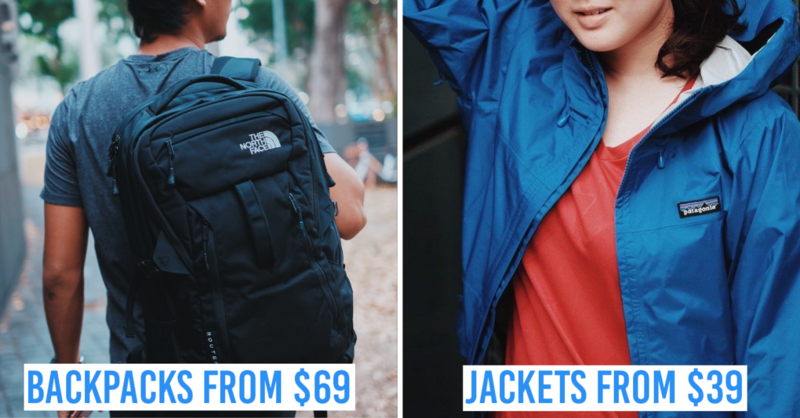 By bus: From Punggol interchange, take bus 84 to Punggol Point Park/Punggol Settlement. Walk about 500m east along the Punggol Promenade Nature Walk to get to Coney Island West Entrance. 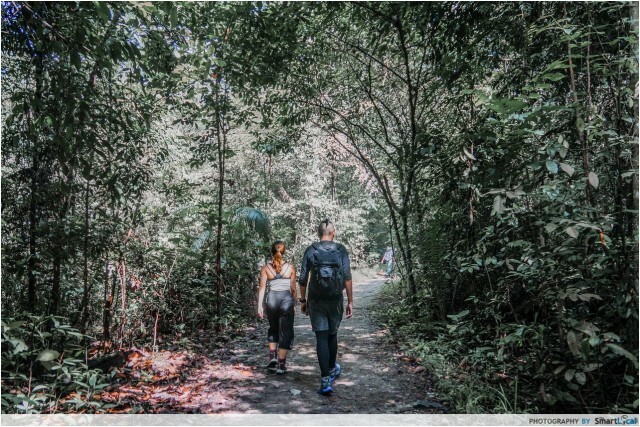 Taking you through 6 different park connectors in the North of Singapore, this trail offers a variety of terrains for your hike. Unlike the others, it’s mostly open-air, so you’re unlikely to find yourself trudging through masses of tall trees. I especially loved how it starts and ends at a reservoir and the sea, with calm waters which never fails to soothe my mind. Along the way, we were sometimes all by ourselves on spacious manmade tracks surrounded by plantations and playgrounds where children played at. 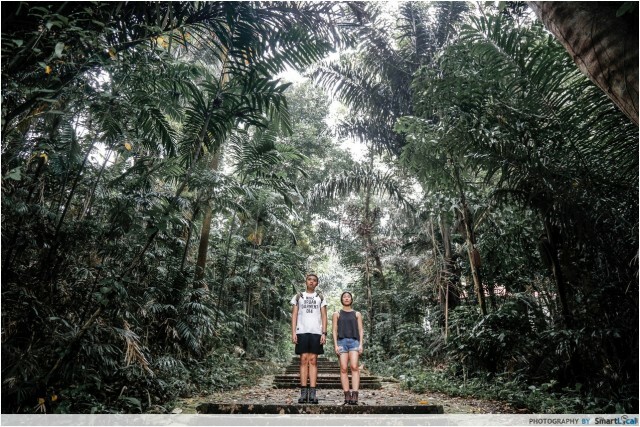 This is the only trail where you could be surrounded by nature but still have a view of modern Singapore. 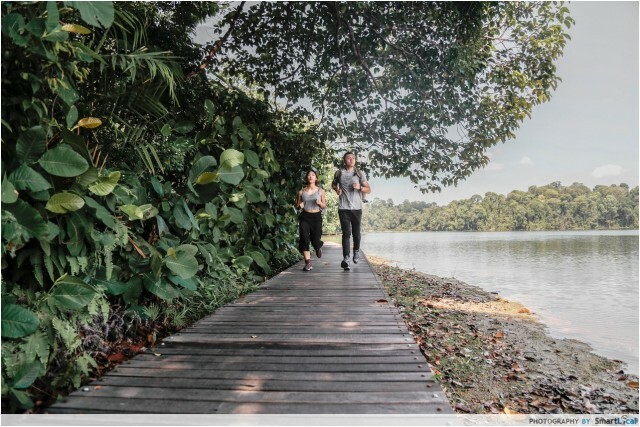 This 11km trail starts at Lower Seletar Reservoir Park, then continue on to Mandai Park Connector, Ulu Sembawang Park Connector, Woodlands (SLE) Park Connector, Admiralty Park and end at Woodlands Waterfront. If you stay around this area, just start wherever is convenient for you! By car: Park at Lower Seletar Reservoir Park car park. 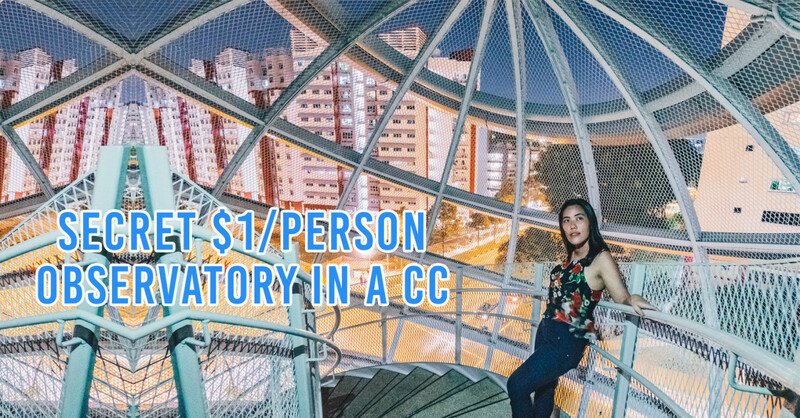 By MRT: From Khatib MRT Station, take a 5-minute walk to the start point through Yishun Park Connector. By bus: Busses 851, 852, 853, 854, 855 or 957. 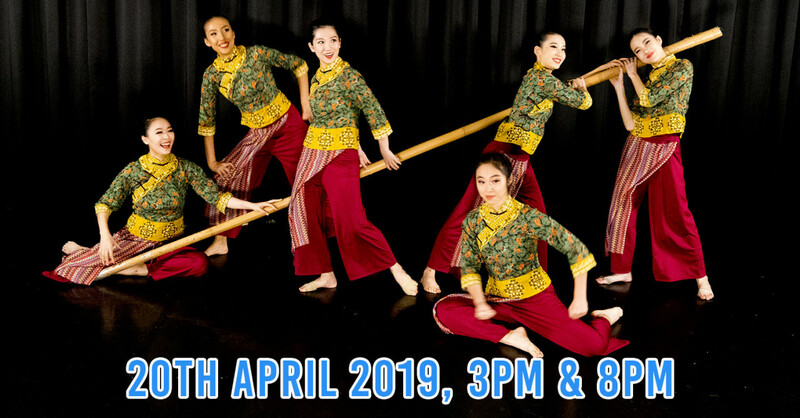 Stop at Yishun Avenue 2 and walk to Mandai Park Connector. In our fast-paced lifestyles, we hardly find time for ourselves to just kick back and relax, much less travel across the country for an energizing workout. But the healthy lifestyle isn’t all that inconvenient. It’s refreshing! It’s adrenaline-pumping! It is all around you. 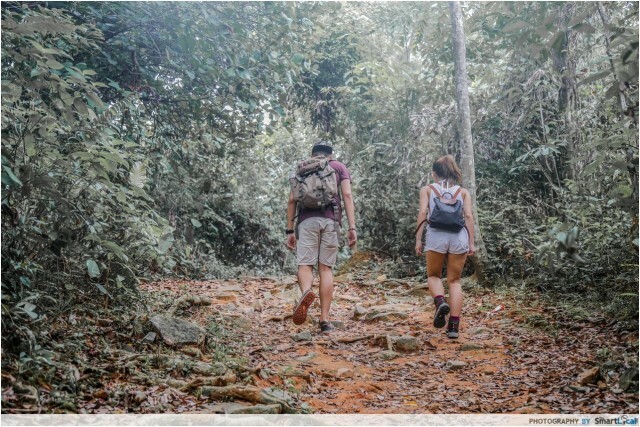 Hiking is the best form of exercise because you get to choose your pace and setting, engage a loved one while at that, and appreciate the littlest things in nature - the blind spot of our everyday lives. Before you embark on any of these trails, bring a bottle of water to stay hydrated, for pit stops can be far and few between. 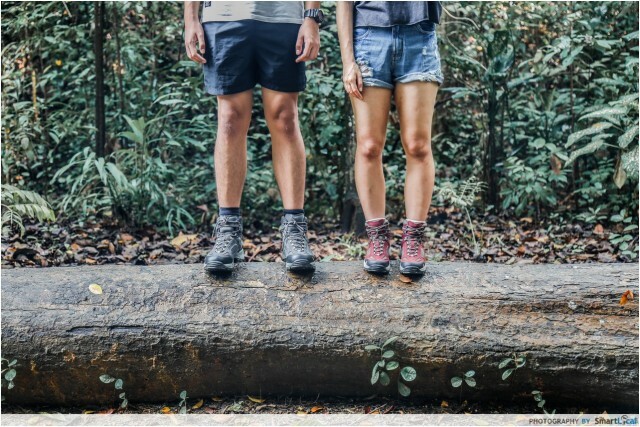 Apply sufficient sunblock, have the mosquito repellent ready, and most importantly, wear proper gear to hike in comfort. 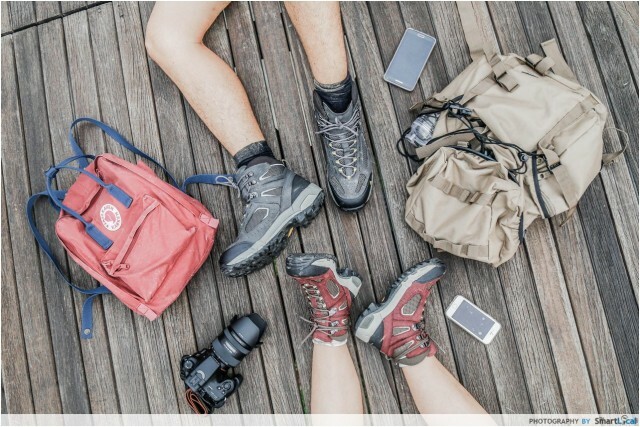 Hiking shoes act as the conduit to the trail, and is the most important piece of gear you take with you. 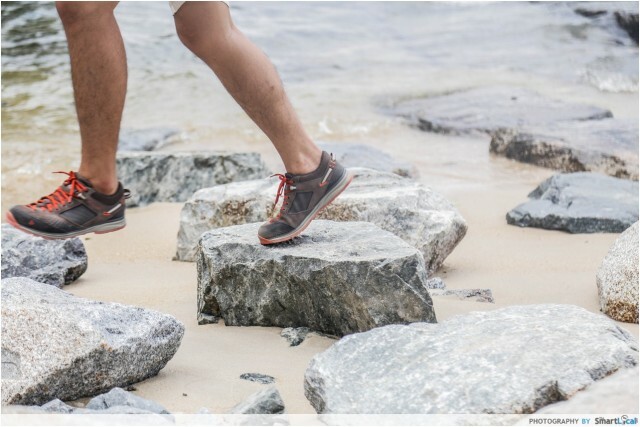 Vasque, a brand from Red Wing Shoe Company, focuses on outdoor footwear that improves performance by ensuring quality best suited for different terrains. The stiffness of the shoes, which eventually softens when your feet ease into them, kept our ankles steady and supported. 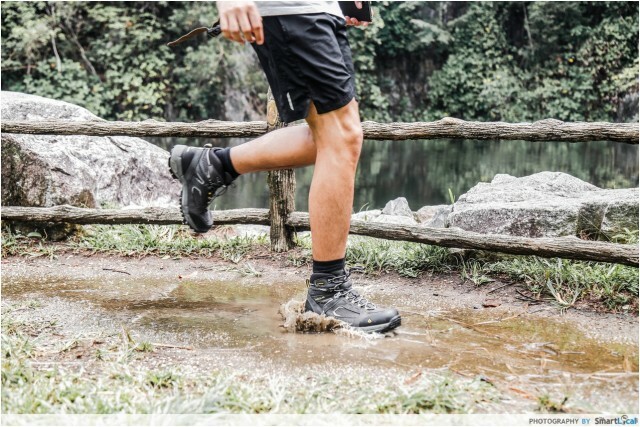 Designed with proper outsoles to maintain a firm grip in rugged terrains and on wet surfaces, this keeps even the most accident-prone people safe. 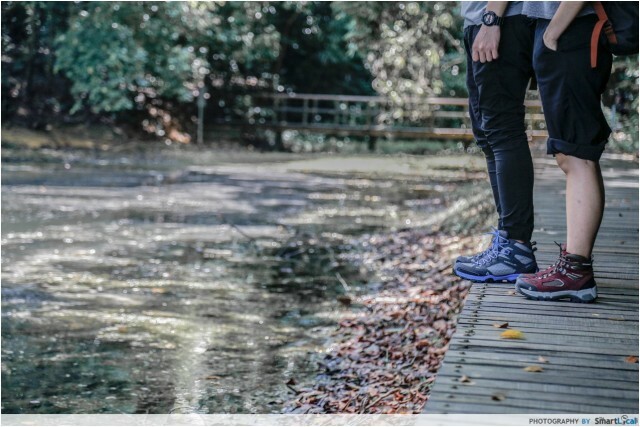 Trail walking/running shoes: For urban athletes seeking adrenaline-pumping trail workouts away from the concrete jungle. 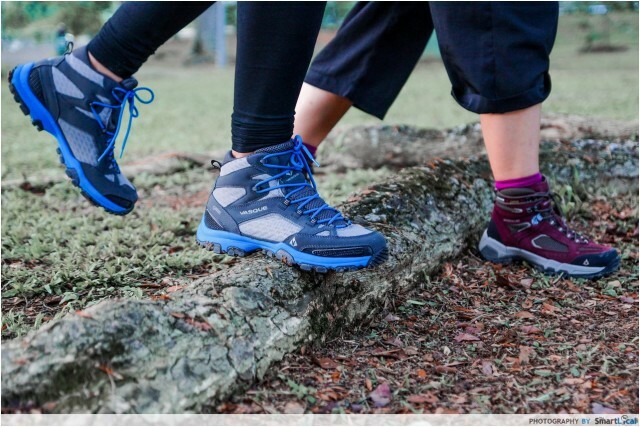 Performance hiking: For a combination of city and outdoor activities, with assured traction and lighter weight. 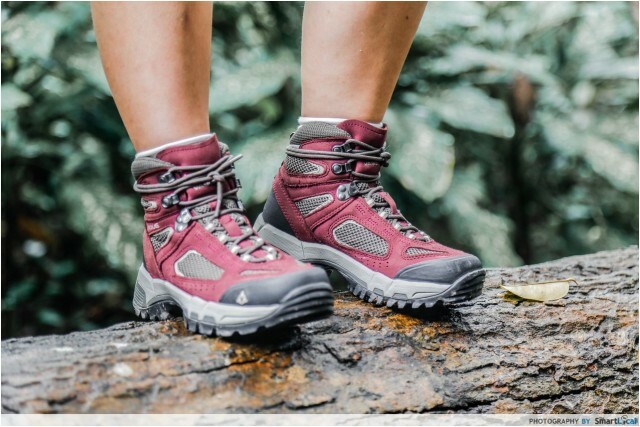 Hiking boots & shoes: For day hikes or weekend trips with light loads, providing sufficient ankle stability and foot support on rugged trails. 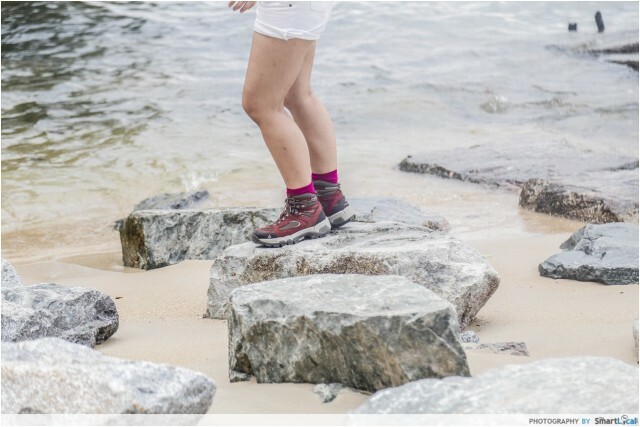 Backpacking boots & shoes: For multi-day expeditions with support for the adventurer’s and his backpack’s weight. Supremely waterproof with burly midsole for foot support and ankle stability. Along with a collection of other brands, you can find these shoes from Vasque’s retail store, Leeden Classic at Orchard Gateway. 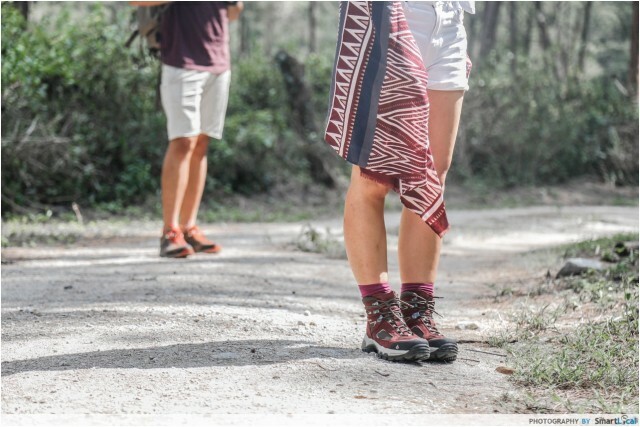 Like their Facebook, Instagram and Twitter accounts below and stand to win a pair of Vasque shoes! 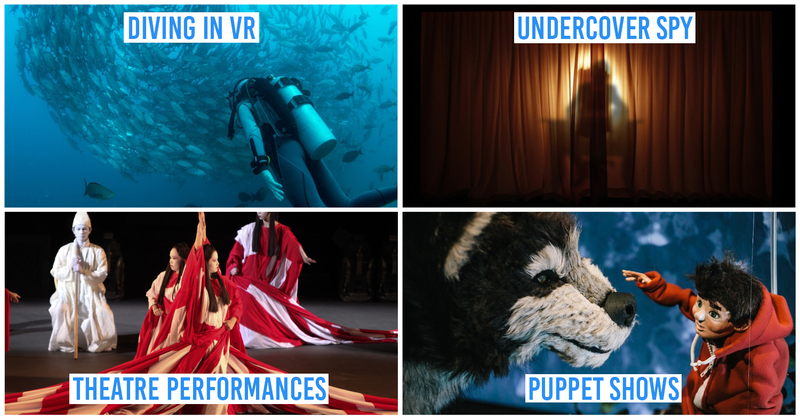 See the full catalogue here!